A Sena leader said the booklet was distributed after the meeting got over last evening and Thackeray had already left the place by then. MUMBAI: A Shiv Sena leader compiled a booklet titled "Ghotalebaaz BJP" listing "scams" of BJP ministers and distributed it among the party leaders yesterday. The development could further strain the already frosty relations being shared by the two uncomfortable allies even though a Sena leader today clarified that the booklet was not compiled officially by the Uddhav Thackeray-led party. A Sena leader today said the booklet was distributed after the meeting got over last evening and Thackeray had already left the place by then. The 56-page booklet lists 20 "national scams" of the "transparent BJP" from the time it came to power at the Centre and also the "scams" that were allegedly "committed by the party leaders, besides the quantum of scams during the BJP's tenure from 1999 to 2004". On the proceedings of the meeting, Sena MLC Neelam Gorhe said Thackeray asked the cadres to further increase the organisational strength upto the booth level and ensure that the loan waiver scheme, announced under the name of Chhatrapati Shivaji maharaj, is implemented without any hiccups. Interestingly, Sena had recently hit out at the BJP-led state government over "hasty" implementation of the Rs 34022 crore loan waiver scheme for farmers. The BJP-led government in Maharashtra, of which Sena is also a part, recently completed three years in office. Though Sena seems attempting a damage control by stating that the booklet was not an official compilation, the opposition NCP latched onto it to attack the BJP. "The BJP, which always talks about transparency and high morals, has been bared by its own ally. If the BJP still shares power with the Sena after it has laid bare all the facts about corruption of its ministers. There will be none other than the BJP which will be perceived as being so helpless for power," Malik told reporters. 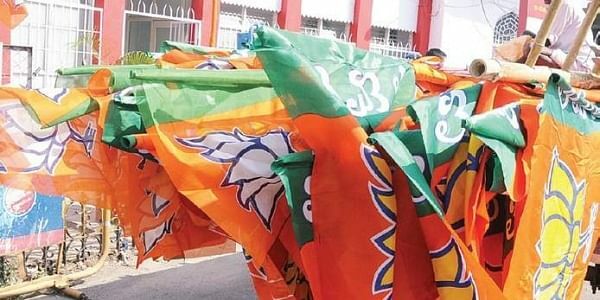 The Sena has stepped up its attack against its senior ally after the BJP inducted Congress renegade and ex-Shivsainik Narayan Rane's outfit in the NDA fold. Chief Minister Devendra Fadnavis had earlier confirmed the reports that Rane, who recently left the Congress to float Maharashtra Swabhiman Paksha, would be inducted into the government in the next Cabinet expansion, expected to take place before the Winter session of Maharashtra Legislature in December. Fadnavis had said that people may not like Sena playing a "double role" in politics, a dig aimed at the frequent attacks by the Sena on the BJP while continuing to be in government.